We’re just a day away from the midterm elections, and the big question on everyone’s mind is what Congress will look like in January. Whether the long-term bull market will derail is one question. Additionally, a lot of progress of the last couple of years has been attributed to tax cuts and deregulation, lowering expenses for companies and increasing defense spending, according to Andrew Crowell, vice chairman of wealth management at D.A. Davidson & Co., an investment company. There’s no point in trying to do anything before the election, aside from seeing market outcomes as potential opportunities. Take health care. Republicans were unable to repeal and replace the Affordable Care Act, so the ACA is still the law of the land. “However, if we see a red sweep of any substance it’s quite possible we could see real gyrations in the health-care market,” Crowell said. “Insurers typically don’t fare as well, because they take the brunt of price caps,” said Crowell. “But health care is also a fantastic high-growth sector. But that doesn’t mean you should rush off to adjust your portfolio for infrastructure or technology. Even in the face of an incredible, unpredicted outcome, it will still take time for new political leaders to formulate and assemble a strategy. No matter your age or how close you are to retirement, recognize that your savings time frame is going to include a lot of elections, and a lot of election surprises, and probably several bear markets. If you’re younger, you should probably welcome market volatility. “The stock market is one of the only commodities where people get depressed when it goes on sale,” Crowell said. Younger investors may not know the Warren Buffett hamburger analogy. It goes like this: If you love hamburgers and the price drops by 20 percent, wouldn’t you really love a hamburger? “A young investor who is committed to systematically investing through ups and downs should celebrate,” Crowell said. The power of compounding has many years to work in your favor. When the market dips, you’ll be buying stocks on sale, which will have substantial power. Remember: buying high and selling low does not work. A market dip may be fine for younger investors, but here’s what to keep in mind if you’re within five years of retirement. Crowell counsels older investors to have in place a plan that details where income will come from, once they’ve received that final paycheck. “Map out at least 20 to 30 years,” he said. A higher percentage of people who retire in their 60s will live into their 80s and 90s. Assets should become more conservative as you move closer to retirement. “Yet, it still should never be so conservative that one risks hamstringing their potential returns in retirement,” Crowell said. These days, the advice is not to exit out of equities entirely. As people need to plan for two or three decades of retirement, their money should keep pace with the cost of living over that time horizon. Even at retirement age, your portfolio should anticipate market volatility. We’re all familiar with the mountain chart of the S&P 500 and how it keeps climbing up to the right. “With that mental picture, I would tell people to pause and take a deep breath any time before getting emotional about anything in the short term,” Crowell said. Midterm elections take place every four years, between presidential elections, and we’ve seen all the permutations. At the end of the day, whether we get a split Congress or a uniform one, it still comes down to the same thing. Don’t underestimate the resilience of the stock market. 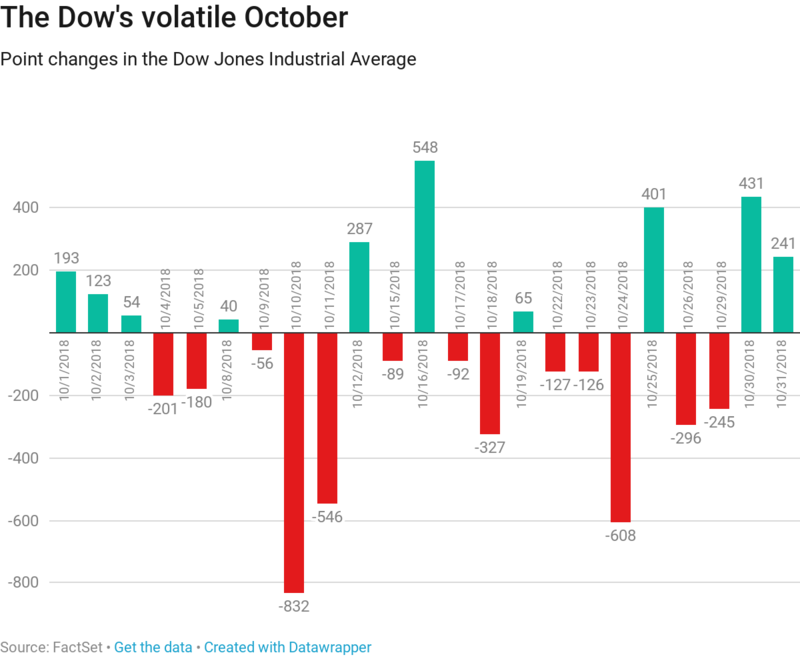 “We have such a long history of seeing how the stock market performs or recovers after elections that have surprise outcomes or predicted outcomes,” Crowell said. No matter how Americans vote, companies will still hold meetings to determine how they’ll sell more cars or more toothpaste.